﻿﻿﻿*Online registration for 2018-2019 starts May 12, 2018. registration for 2018-2019 school year ends September 30, 2018. *Deadline to report service points for 2018-2019 school year is June 15, 2019. any service points request after June 15, 2019 will not be honored. Annual tuition is $900 (30 weeks of instruction) per student. Annual tuition for early bird enrollment is $800* (online registration completed before July 31, 2018 or forms and fees postmarked prior to July 31, 2018).﻿ There is a new family non-refundable registration fee of $100. Additionally, each family is required to serve 20 volunteer points per year, or there will be a charge of $20 per unfulfilled service point. Each service point is approximately one hour of service. Two (2) of the twenty service points that each family must volunteer every school year must be earned via activities related to the Chinese New Year Carnival. This requirement does NOT apply to volunteers serving in dedicated positions that are already granted 20 service points. However, if a position is shared by multiple volunteers, such that each volunteer earns less than 20 points from said position, then each volunteer still needs to earn two points from activities related to the Carnival. Families with only students registered in the Parent-and-Me class are not required to serve 20 volunteer points per year. However, families with students registered in both the Parent-and-Me class and the regular kindergarten through 12th grade classes are required to serve 20 volunteer points per year. To ensure the service is completed, the school requires a deposit of $200 during new enrollment. To continue the enrollment for next academic year, a family has to fulfill the 20 service points, or pay $20 for each unearned service point. The $200 deposit will be carried over to the following year as the service deposit. For families departing the school, the refund for family service point deposit must be requested within one year from the last day of the academic year in which they depart if the 20 volunteer service points are earned for the school year. Any unfulfilled service point will be subtracted at $20/point from the deposit, and the remaining deposit will be refunded to the family. After that time, no refund will be granted. View a list of volunteer opportunities available for earning service points. *Students whose completed registrations are postmarked by 7/31/2018 will receive the textbooks on the first day of school. Students who register after 7/31/2018 are not guaranteed to receive the textbooks on the first day of school. If you are new to Westside Chinese School, we welcome your enrollment! All students must be 5 years or older on the first day of the school year. In order to process your registration most efficiently, we request that you click on the link "New Student Online Registration" below and follow the on screen instructions to complete the online registration process. You may pay online by credit card (VISA or Master card only) to complete registration. Please note that if payment is made by credit card, any refund will be issued to the original credit card used. If you pay by check, please make checks payable to CLSSC. Returned checks will be charged a $30 banking fee. A tuition refund processing fee of $50.00 per student will be applied for all tuition refund requests. 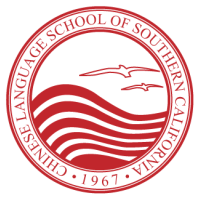 Starting with the 2017-2018 school year, when you register for the regular Chinese class online, you may concurrently register for the Extracurricular Classes (EC) online. Please follow the on screen instructions to complete the online registration process. Please click here for a full description of the EC program. If you are currently attending Westside Chinese School, we look forward to seeing you again next year! Please follow the instructions below if you wish to register for 2018-2019 school year. 1. Pre-filled registration forms for school year 2018-2019 and instructions will be emailed to all currently registered students by May 12, 2018. Please review the pre-filled registration form carefully. a. If all information is correct and no change is necessary, please click on the link "Returning Student Online Registration" below to register online for school year 2018-2019. Returning students can register online by credit card (VISA or Master card only) – this is also preferred method. Please note that when you click on the link to pay by credit card, you will be connected to an outside website to make the payment. i) If you register before this semester ends: Please go to the registration team in the office while the school is in session to make necessary changes. Then you can pay the tuition/fees either by check or by credit card on-site. ii) If you register after this semester ends: Please print out and mail the paper registration form with changes marked on the form together with a check for the tuition/fees to the school’s P.O. Box address as indicated on the form. c. If you have registered at the Westside Chinese School previously, but did not register in the school year 2017-2018 and wish to register for school year 2018-2019, please contact the registration team to register by paper. a. You may register now and pay the unfulfilled service point charge. However, if you subsequently fulfill all your service point requirement, the unfulfilled service point charge which has already been paid will NOT be refunded. b. You may wait until you have fulfilled all the service point requirement before you register for the new school year. After April 28, 2018, please click here to check for the most recent service point records. The payment system will reflect the most recent service point records published on school website. ** The deadline for reporting service points for the 2017-2018 school year is June 15, 2018. Any service points request after June 15, 2018 will not be honored. Please read the Refund Policy before you register for the second semester.